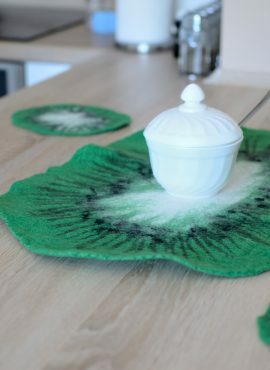 Set of 5 felt coaster in the shape of kiwi slices. Unique and beautiful - no matter how you use them, they will always make your home fresh and artistic! 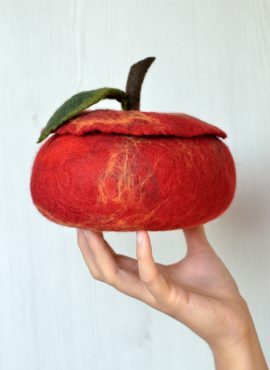 Felted coasters for autumn beautifully made of fine merino wool in fall colors. You can use them during five o'clock tea or for your family dinners. 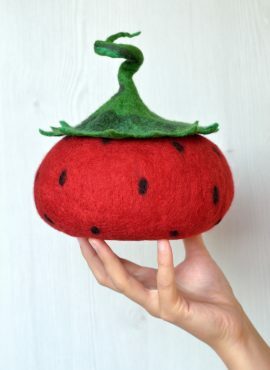 This felted strawberry is a cute jewelry box for girl or woman who loves kawaii style. 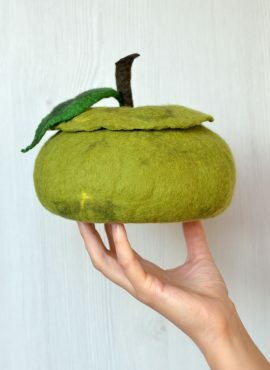 It is really sweet and will give a magical look to the kids' room. 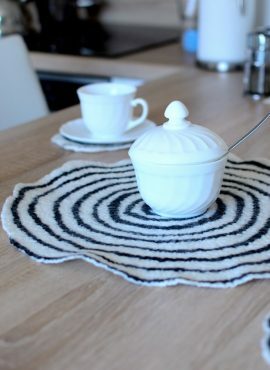 Table coasters felted of black and white wool. 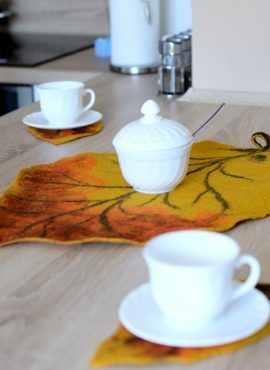 Can be used as a five o'clock tea set or during your family meetings and celebrations. Set of 5 pcs. This apple jewelry box has kawaii style and looks really fresh. You can keep your jewelry inside or use it as a funny trinket holder for your little things. This red jewelry box has kawaii style and looks really sweet. You can keep your jewelry inside or use it as a funny trinket holder for your little things. 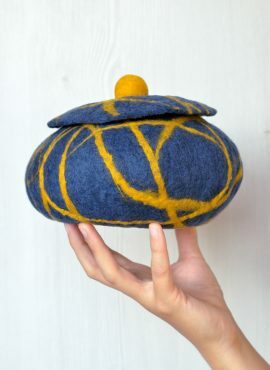 This felted jewelry box comes in custom colors and size. Its design is simple but it has the power to catch attention and warm up the interior you live in. 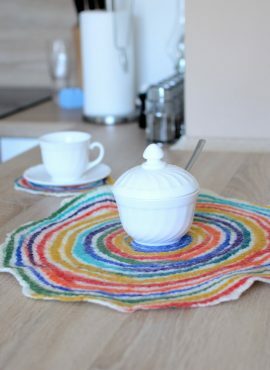 Kitchen coasters set with modern, round design made of fine merino wool in rainbow colors. They will always make your house more artistic and colorful! This pumpkin box is a nice fall decoration. 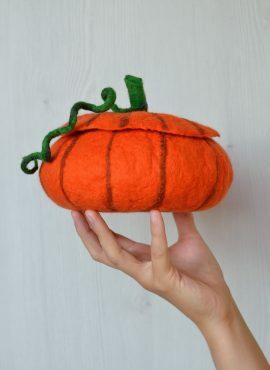 You can use it as Halloween treat box, Thanksgiving favor box or as a jewelry box throughout the year.